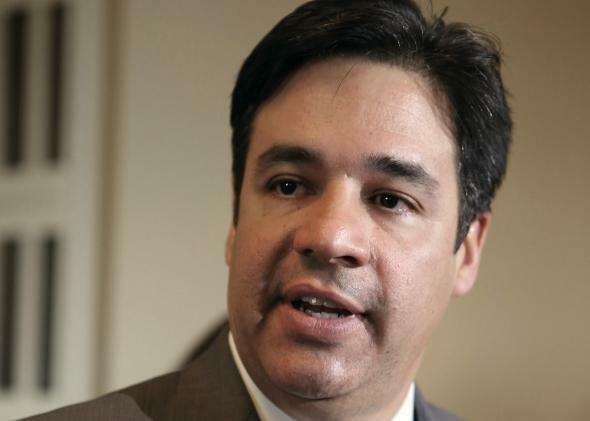 Raul Labrador: Continuing resolution/shutdown will likely end with short-term GOP surrender. Raul Labrador doesn’t see this ending well. This weekend’s political chat shows found two Republicans—the House whip and a reliable “no” voter—hinting at the endgame for the debt limit and CR fights. On Fox News Sunday, California Rep. Kevin McCarthy displayed all the traits that have made his whip operation so delightfully unpredictable, saying that the Sunday morning CR passage was (sic) “unanimous Republicans voting for it,” even though two of them voted against it. McCarthy simply didn’t sound like he knew what the Senate was thinking, or doing, or who was currently a member of the upper house. “I think there will be additions that I have found in the Senate,” he said, “that Senate Democrats say they can support. You just heard a senator from West Virginia that is a Democrat who said, why do you—why does the president just treat business one way but he won’t treat an individual another way?” He was referring to Sen. Joe Manchin, who’d already said that he couldn’t support a one-year delay of Obamacare, but might support a delay of the individual mandate. What to read into this? McCarthy was slinging the same stuff House conservatives had been asking him to sling for weeks, insisting that Democrats would eventually cave and that only “fundamental” changes to Obamacare would be acceptable in a CR. But Wallace couldn’t pin him down on specifics. Nothing McCarthy said foreclosed the possibility of a fight followed by a much smaller deal that could be sold to the caucus as a concession from Democrats, something like the screwing-over of congressional staffers by nixing their subsidies. On Meet the Press, Idaho Rep. Raul Labrador tried to stick to his message—hey, Democrats once asked for concessions on CRs!—but suggested that the party’s will was breakable. “Are you willing to vote for a continued resolution that comes back that does not delay or defund Obamacare?” asked Dee Dee Myers. McCarthy could never admit that—he needs his conservatives to think that the party will never, ever surrender. But Labrador can assume that some rump of Republicans will surrender, and he’ll join most of his colleagues in a free vote against a clean (or mostly clean) CR, counting on Democrats to make up the margin of passage.